While we’re in the midst of winter in Taiwan, it’s never too early to think about summer. 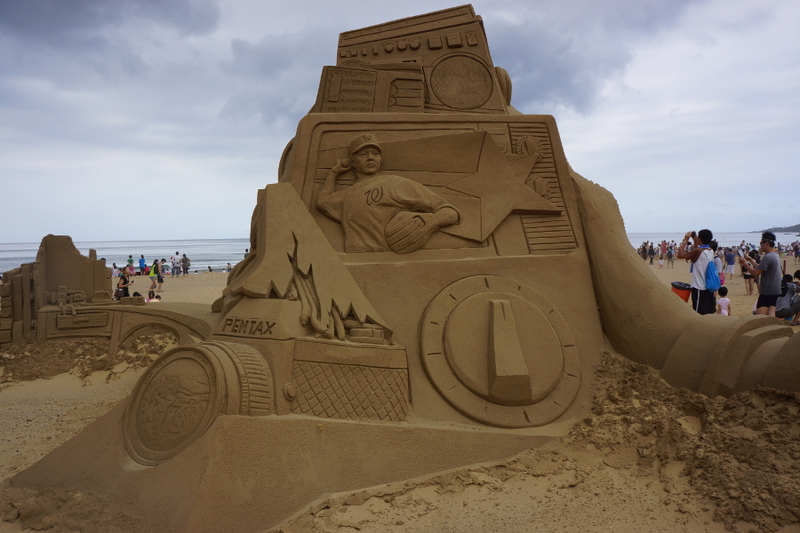 While most people head to the beach for some R&R, you can also enjoy an art show right by the ocean. 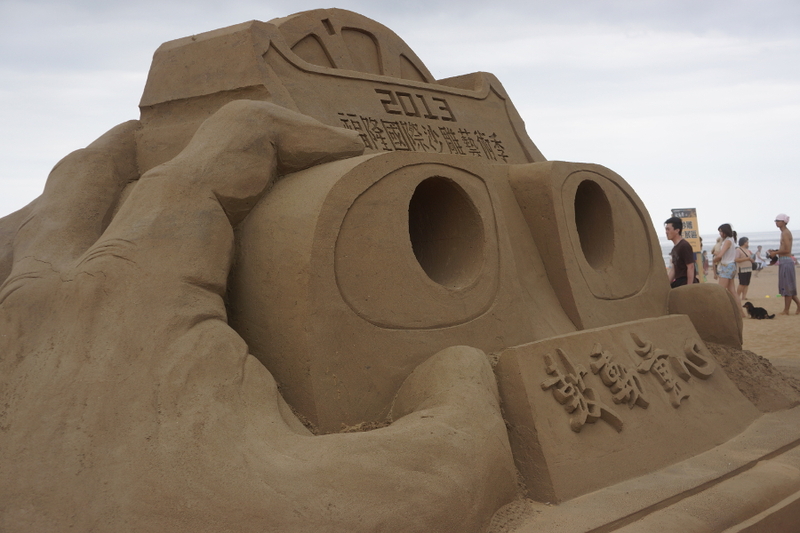 The canvas at the Fulong International Sand Sculpture Art Festival 福隆沙雕藝術季 is the beach itself. 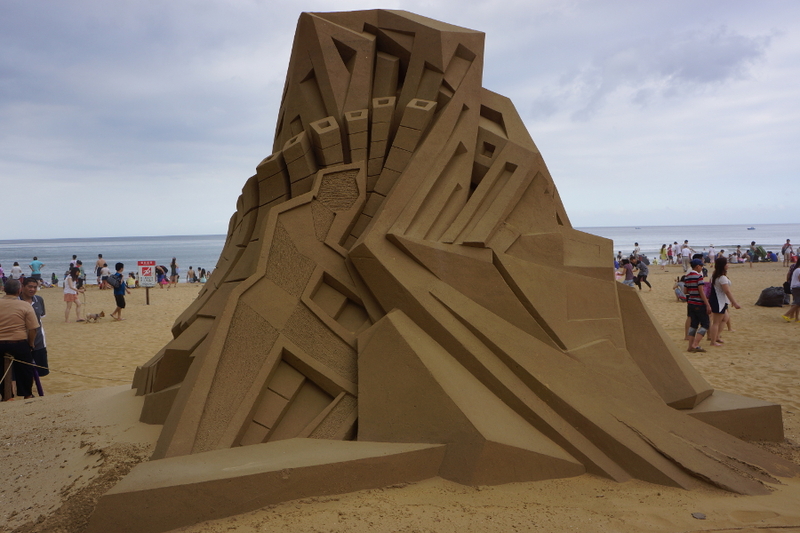 These incredible sculptures top any paltry sand castle I’ve ever made, and showcase a variety of different themes and subjects. Check out more info after the jump. 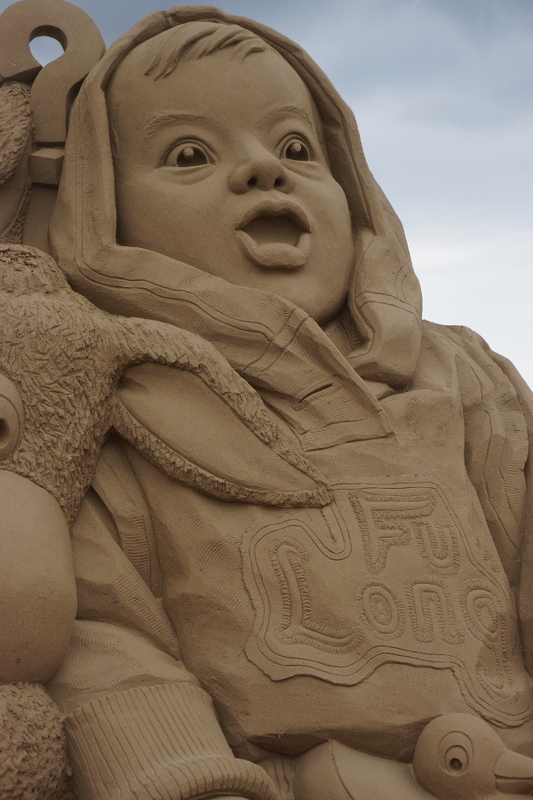 First held in 2008, the festival hosts dozens of different sculptures. Each year has a theme, but not every piece has to adhere to it. 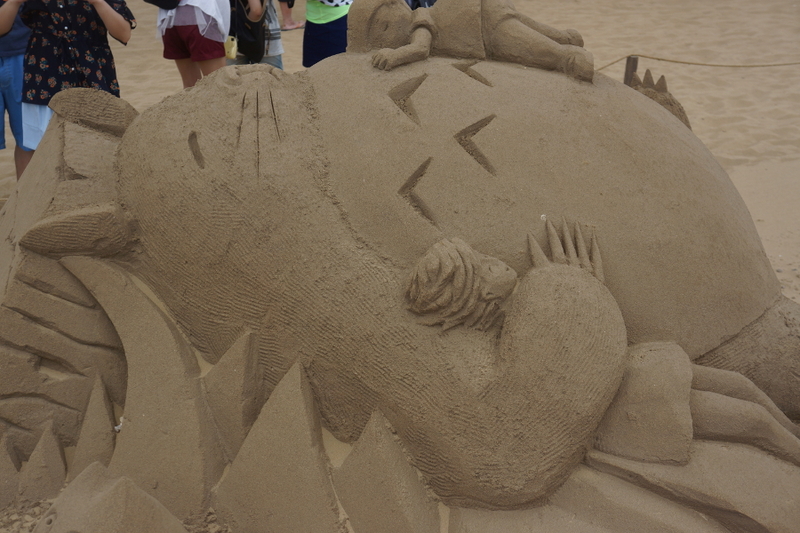 I went to the 2013 festival, where the theme was about childhood memories. Many of the pieces related to the artists’ childhood. It was interesting to see how representations of childhood differed from culture to culture. 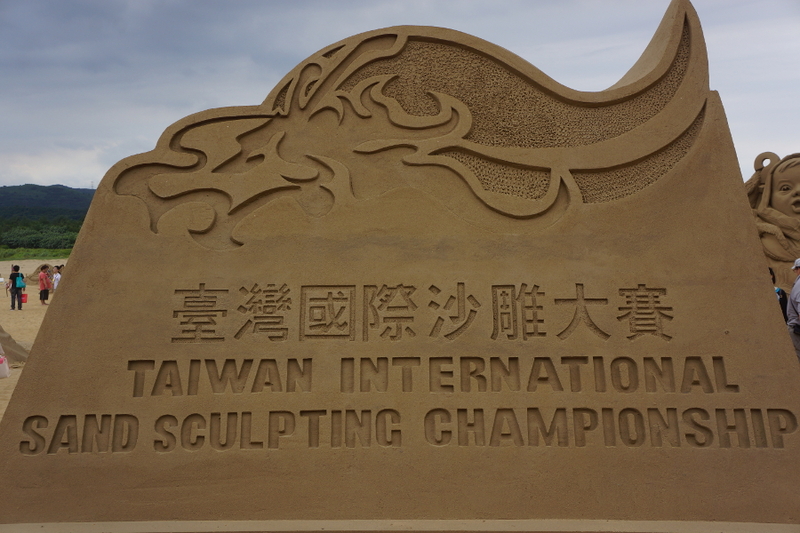 As you can guess from the “international” part of the title, the sculptors are from around the world, but there are many Taiwanese artists represented. Many of the sculptures are quite massive. 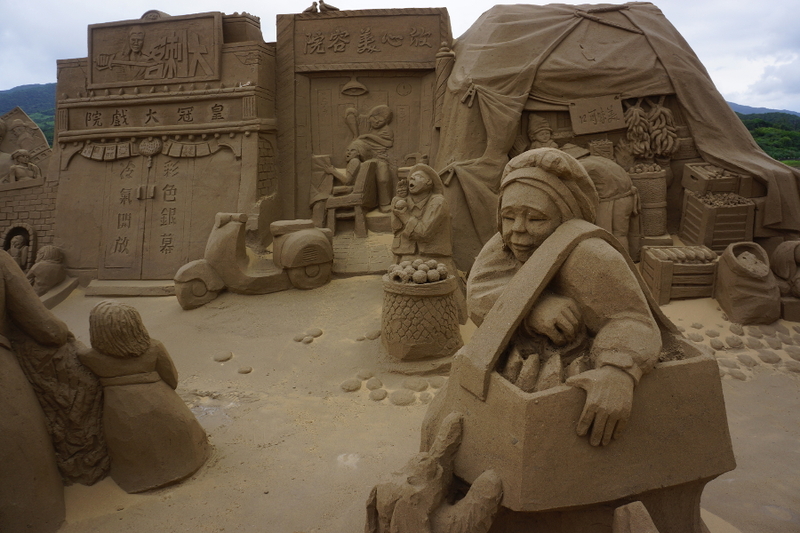 According to the festival’s official website, the flexibility and adhesive nature of the sand on Fulong Beach make it perfect for making art. While being in front of these highly detailed pieces is awe-inspiring, it’s also a bit melancholic to know that they will be torn down after a month. 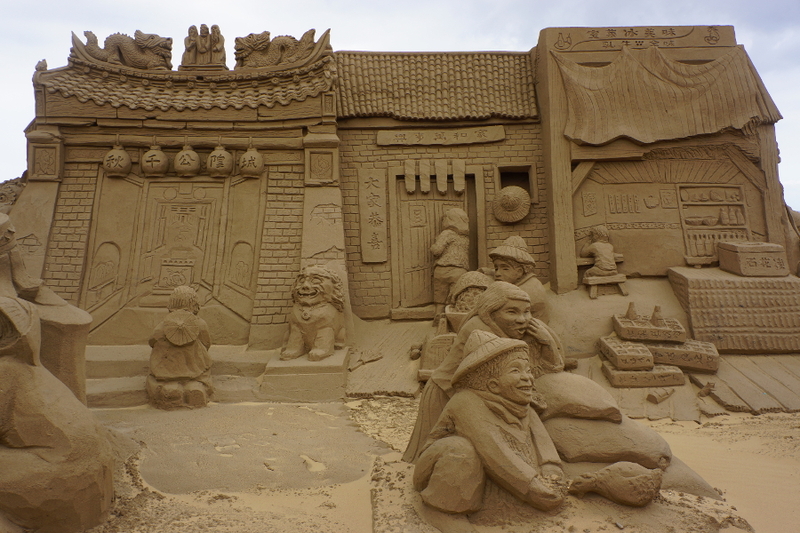 I suppose that is the ephemeral nature of sand-based art. I also had a strange fear of falling into them. I wouldn’t consider myself a clumsy person, but being so close to something so fragile made me extra cautious. The sculpture festival lasts about two months throughout the summer, so there is plenty of time to check it out. The 2015 dates haven’t been announced yet, but I will be sure to update this page when they are. In the mean time, you can check out some pictures from the 2013 event and peruse the official website. Enjoy! 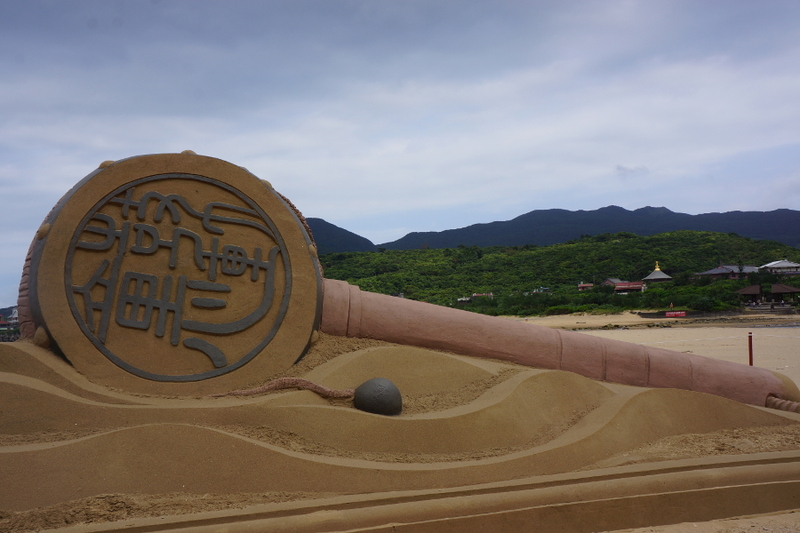 Even the signs are made of sand. The event is a popular activity as you can tell. This is a traditional toy known as a pellet drum. These scenes of old Taiwan were among my favorite pieces. I wonder if the car has a sand engine. A baby is very excited to be here. 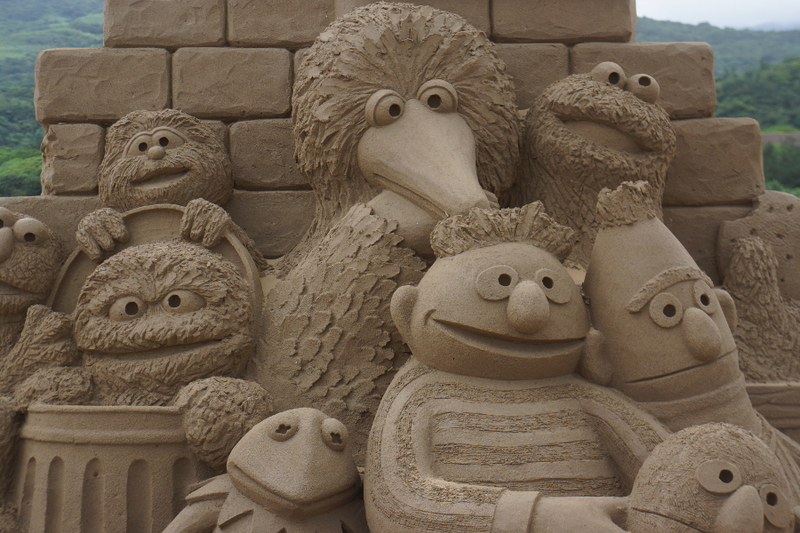 Was Kermit on Sesame Street? I can’t keep my muppets together. 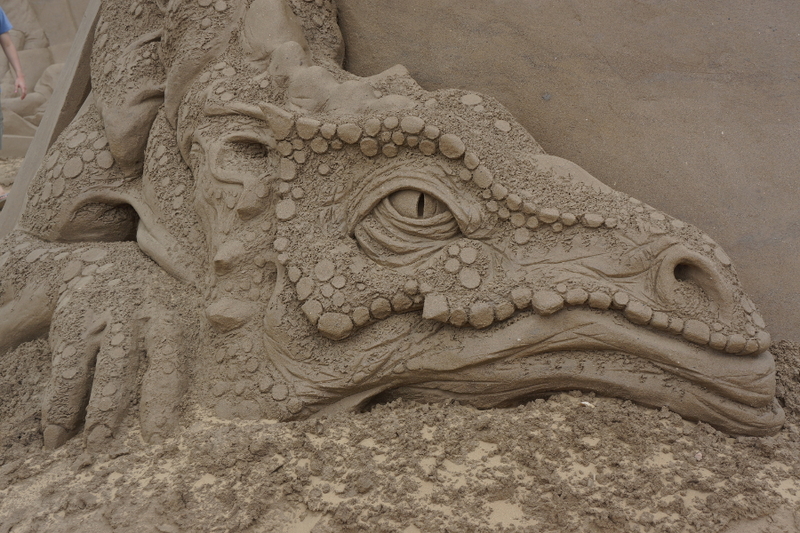 Sand Smaug guards his sand gold. 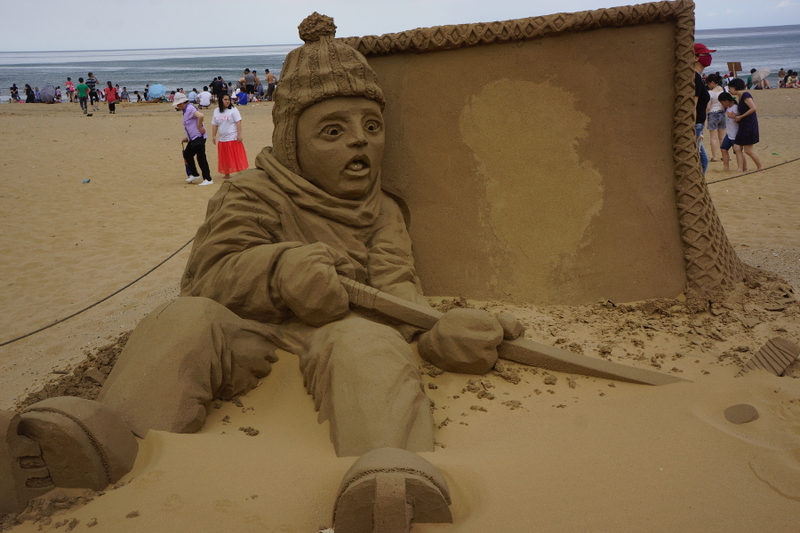 Sand hockey is probably one of the most difficult sports. 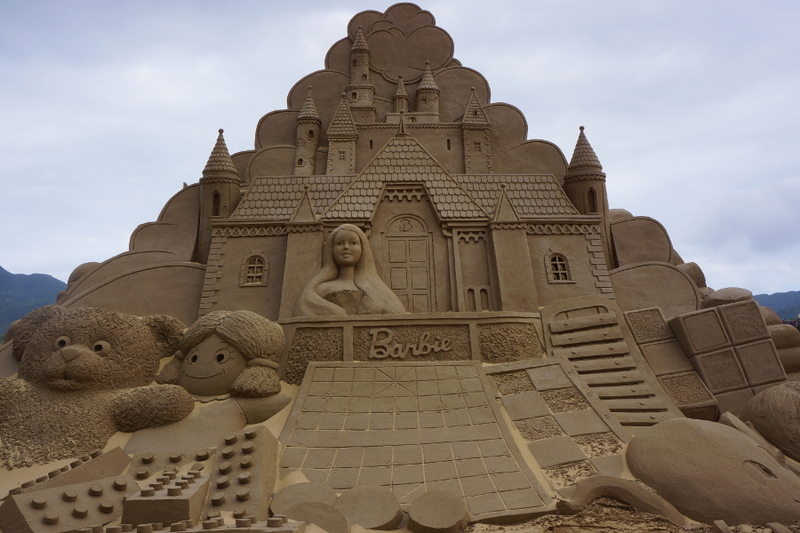 Barbie watches over the crowd from her sand dream house. 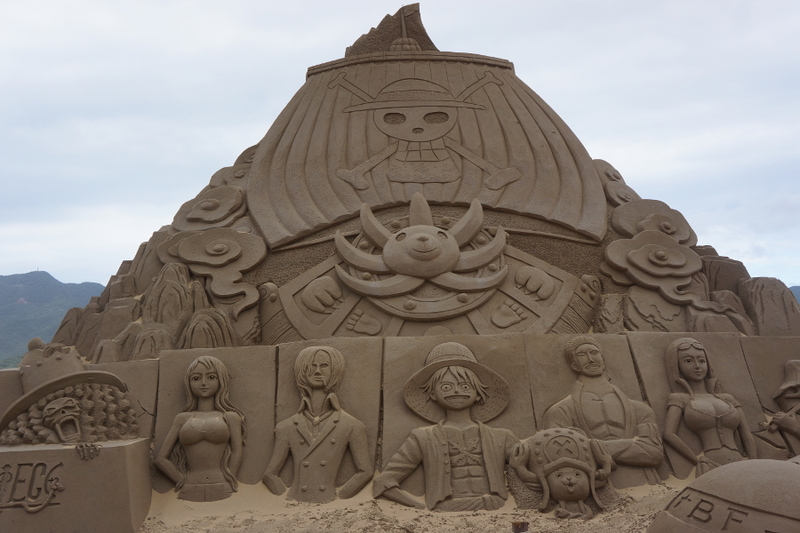 Perhaps the largest sculpture was this One Piece artwork. Some sculptures are a bit more abstract. 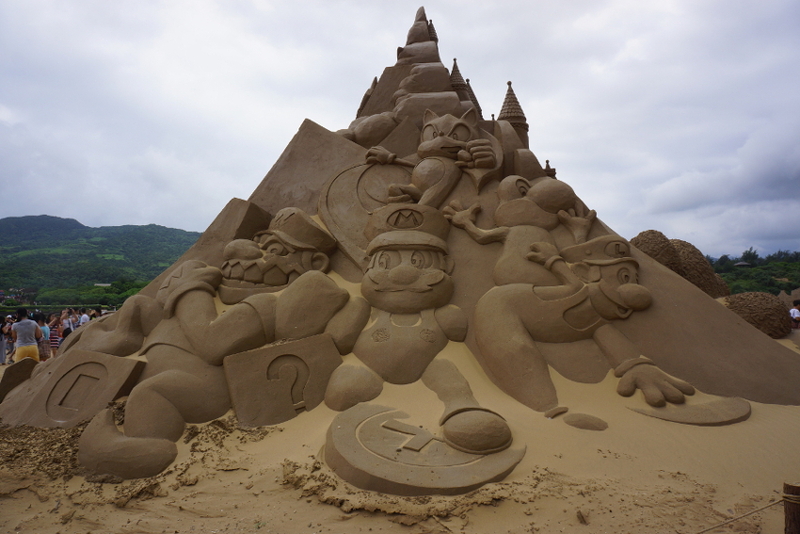 Video game characters also make an appearance. If I remember correctly, I believe this one was the winner of the competition. It’s more complex than it seems. 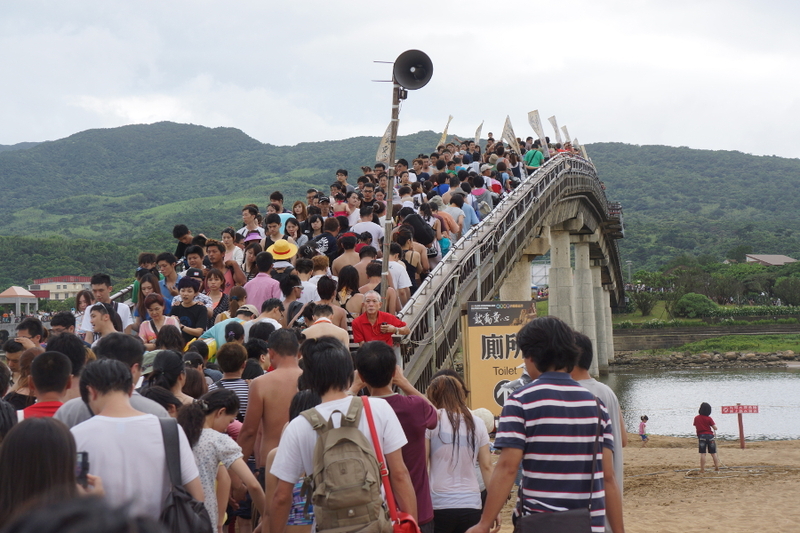 Location The event is held every year at Fulong Beach in New Taipei City. I will update this page when the 2015 date is announced! 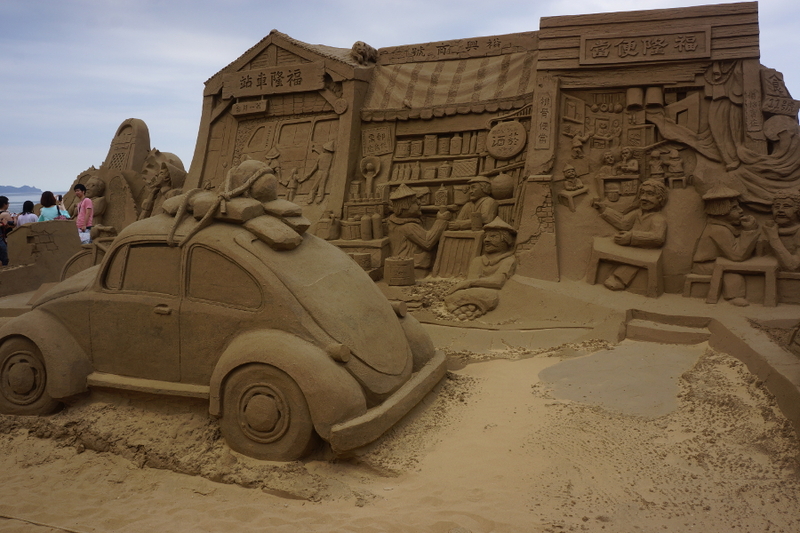 Posted on January 7, 2015, in Art, Exhibits, Festivals, New Taipei City and tagged art, beach, exhibits, festival, new taipei city, 台灣, 新北. Bookmark the permalink. Leave a comment.